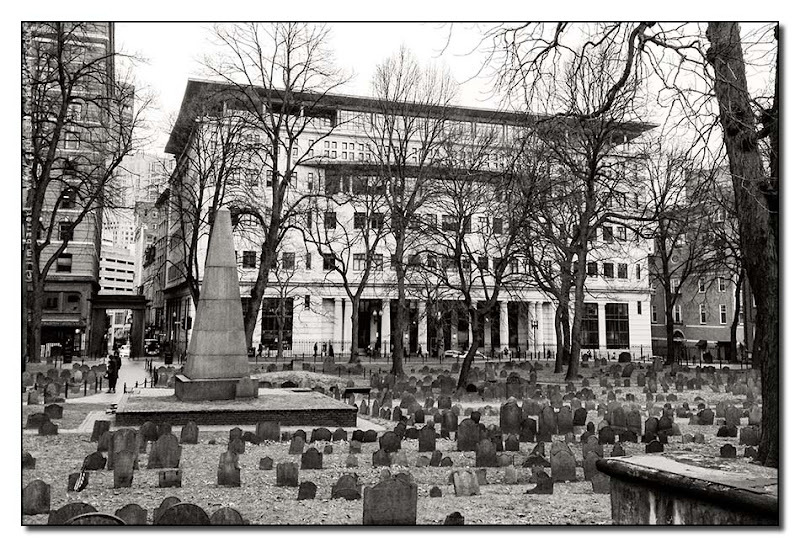 The Granary Burying Ground is the city's third-oldest cemetery. Located on Tremont Street, it is the final resting place for many notable Revolutionary War-era patriots, including three signers of the Declaration of Independence, Paul Revere and the five victims of the Boston Massacre. The cemetery is adjacent to Park Street Church. Suffolk University Law School is the building in the background. If it weren't for the cars on the street, I feel like I'm looking at a well-preserved vintage photo. thank you for these last two posts.